& What do Dews Do? There are a lot of misconceptions about dew claws and tails. The reason for Docking Tails? The best reason we hear is to adhere to the breed standard. creates to describe what they believe to be the 'perfect' looking example of the breed. removing part of the tail for cosmetic reasons- at least it is the honest reason! 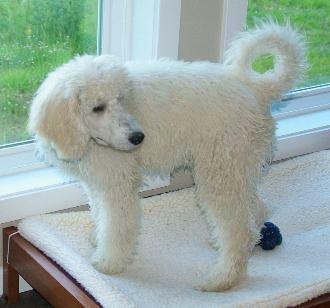 The Canadian Breed Standard does no say a poodle must have a docked tail. expectation of winning the tail must be docked to the appropriate length. 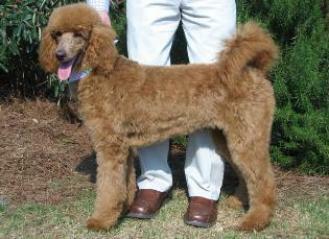 Traditionally Standard Poodles have had their dew claws (thumbs) completely removed. If they are not removed they may get 'caught' on things and torn off. those dew claws removed! Mastiffs and other giant often have double front dew claws! 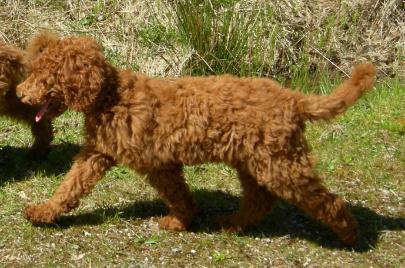 Standard Poodles have functional thumbs. They use them in steep terrain, and to grasp things. any issues with having their dew claws. or they will cause issues for the dog. They don't look as good in a traditional show coat. 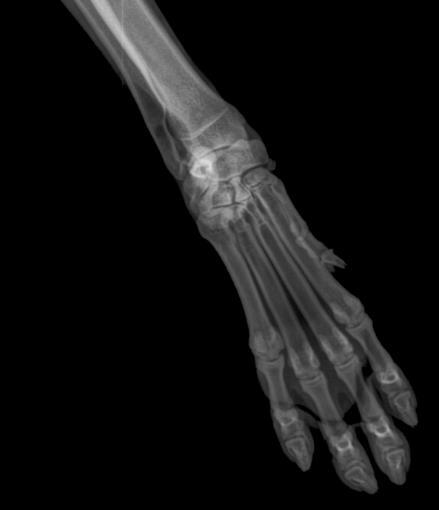 The dew claw is held close into the leg and therefore is not as obvious as a 'dangling' dew claw. Dogs in Europe are shown with dewclaws. Required by the breed standard. Cannot be shown in Conformation shows with dew claws. in North America you will need to have the dew claws removed. cause a problem for this puppy in the future. was left long, would curl and be carried over the back. those performing such things can be charged as such. So to get around the curl in the tail breeders are 'tipping' the tail. and a tipped tail is not as noticeable. 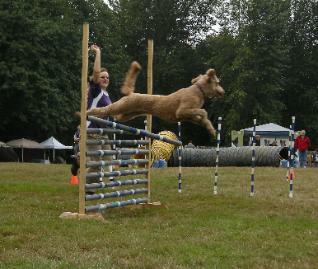 A Standard Poodle would have to be HUGE to be able to do that! Look at the height of your kitchen table and stove. they have a lot to say if we let them 'talk'! being able to understand what my dogs are saying! while hunting or doing other physical activities. when the dog is standing) Greyhounds, Pit Bulls, Great Danes are breeds who often get 'happy tail'. 'betterment' of the breed or to protect them from injury! 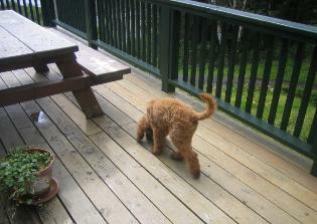 The tail can 'clear a table or knock a pot off the stove due to the strong wag. recommend amputating front feet to avoid that problem! that tails in North America are still docked due to cosmetic reasons. It remains a choice to have a long tail or a docked tail. even when frightened. It is wrong to remove one of the most obvious tools a dog uses to communicate! Also we have noticed that there is a gland on the top of the tail that our docked tailed dogs often chew. chewing is likely caused by Neuropathic pain (commonly called Phantom pain or Phantom Limb Pain – PLP). peripheral or central nervous system. PLP is often described as a hot and burning sensation. 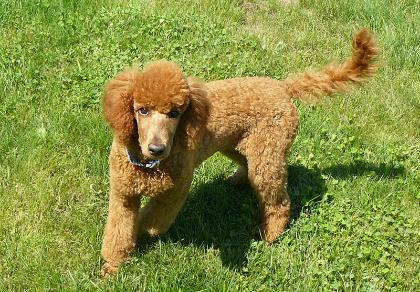 Why does Paris Poodles not to dock tails? What to do about the Dews? We don't dock and amputate for much better reasons!!! inside the hind leg just above the foot". be removed'. Primitive terrestrial vertebrates have 5 digits on each foot. flatter footed (plan tirade) carnivores have 5 toes on each foot. digit grade carnivores. There may well be a reason it is retained. thumbs the claws wear with racing so that they do not need periodic trimming. about as often as thumb claw injuries in dogs in which the thumbs are not removed. breed standard calls for its retention) - this is the 'dew claw that may be removed if present'. day of a competitive event and cause the owner to have to forfeit a tie, etc. 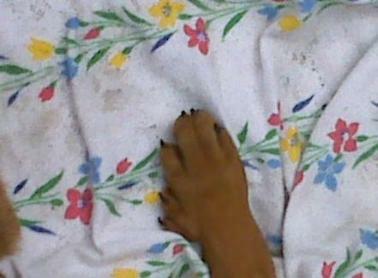 Dog Dew Claws - the essay - don't chop off those thumbs! across Canada and the United States, I have seen many canine athletes with carpal arthritis. that matches a curve on the adjacent bone. Unlike the bones of the elbow, for example. over time, resulting in joint laxity and ultimately, arthritis. 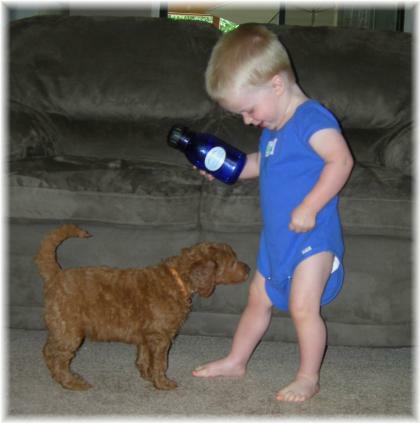 that breed associations change their standards so that cosmetic procedures are not required." useless tag of flesh to be removed!